America's first national park, Yellowstone is pretty uniquely amazing. I did not realize it contains approximately one-half of the world's hydrothermal features. 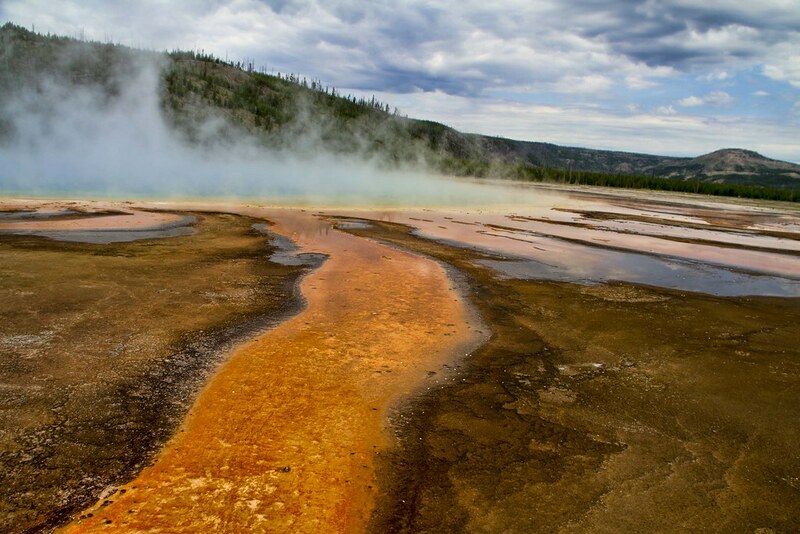 There are over 10,000 of these features, including over 300 geysers in the park. My favorites, however, were the hot springs because they offer such a dramatic range of colors. 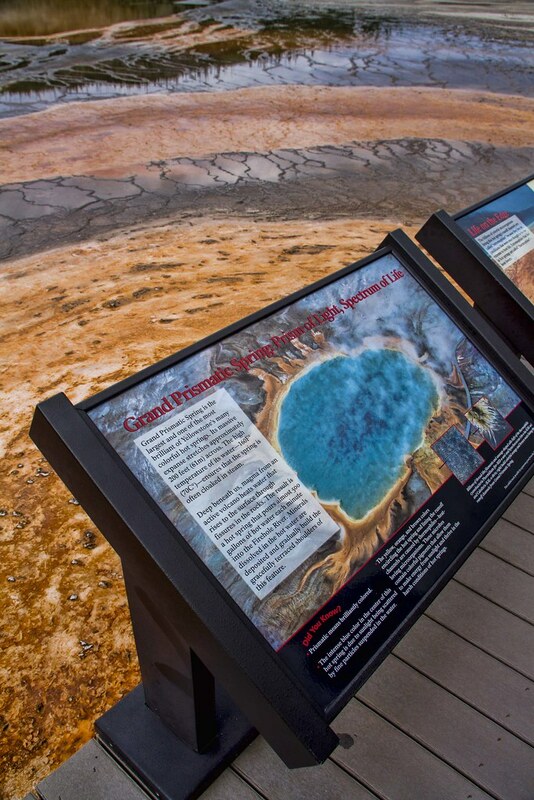 According to the National Park Service website: superheated water cools as it reaches the surface, sinks, and is replaced by hotter water from below. This circulation, called convection, prevents water from reaching the temperature needed to set off an eruption. So you end up with these colorful pools of extremely hot water (most close to 199 degrees). The picture above is the Grand Prismatic Spring. 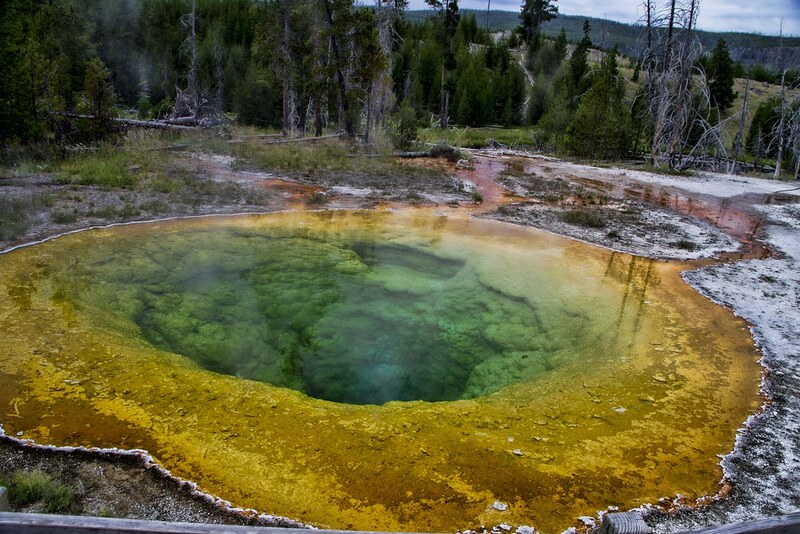 It is one of the most brilliantly colored and the largest spring, stretching 200 feet across. It is so big, you really don't see the spring itself except from the sides. The pool in the last picture is named Morning Glory. While it is much smaller, it allows you to get closer to see the entire pool from above.